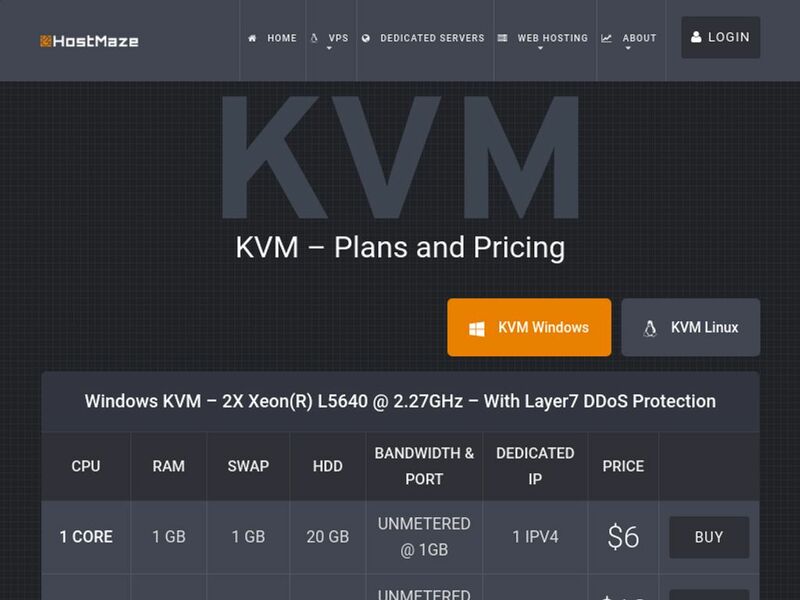 Offers cheap, affordable KVM, OpenVZ VPS and dedicated servers with unmetered bandwidth and free DDoS protection. 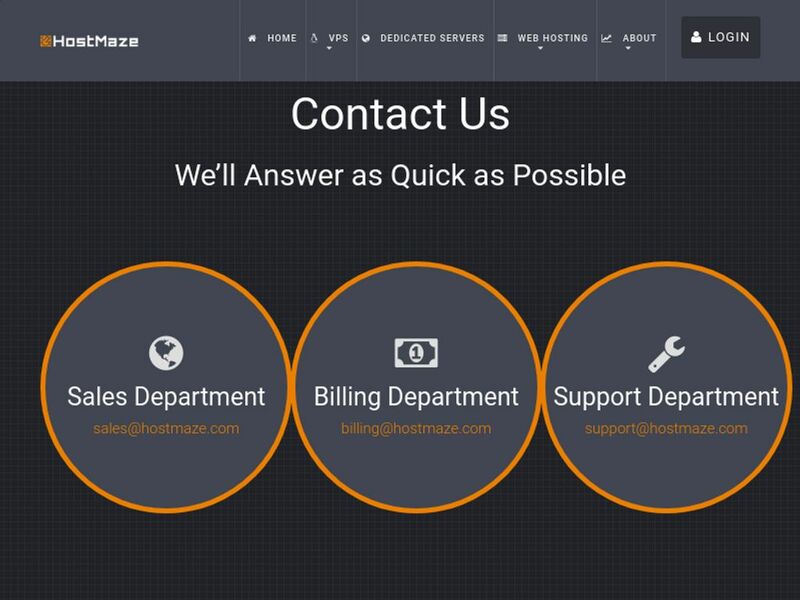 HostMaze starts from $1.00 per month. No HostMaze reviews were found. Please submit your first review. No HostMaze questions were found. Please submit your first question. 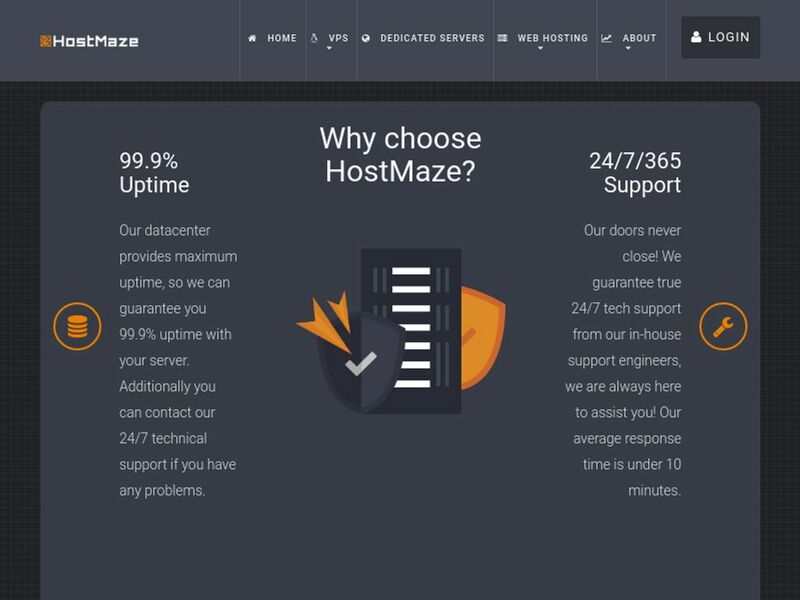 Do you want help with HostMaze? 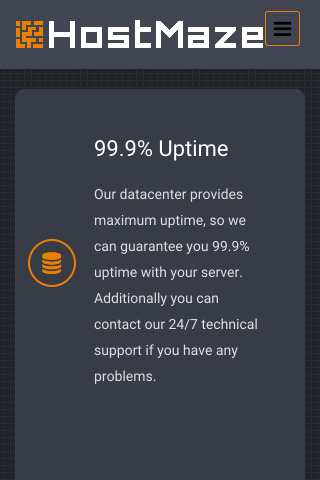 Any issue with HostMaze review? 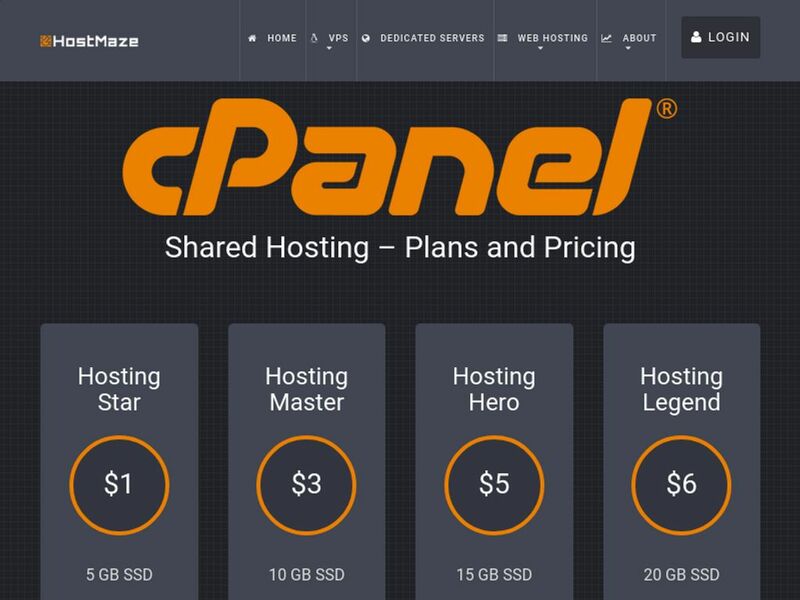 More Web Hostings Looking for alternative to HostMaze ?